Although there is a wealth of knowledge and experience residing amongst the Membership, SAAA is building a (non-volunteer) Technical Support Team to provide professional advice and support to Members and the Management Team. These persons are a valuable addition beyond support available amongst the Membership community and volunteer advisors. The Member Offered Skill Support initiative commenced in early 2017. Recognition of the extraordinary collective capabilities of Members both in their aviation worlds and in other professional lives was brought to bear. SAAA is a not-for-profit organisation with almost all of the Management Team and many technical contributions required to support day to day SAAA business provided by volunteers who don’t have endless hours or skills. So, the simple question was asked – who else can and would like to help in any way whatsoever? The outcome was outstanding – we now have over 120 Members who offered their services and skills to help “do SAAA business” – from experienced metal, composite or timber builders to those with senior management and business experience, auditing skill, regulatory skills, flight operations to insurance – the list goes on. Many of these volunteers have already been contributing, and others are identified and stand ready to start. The Member Offered Skill Support will be further developed to enable Members to go online and find someone who can help them out – ideally close by. Building and operating an aircraft will almost certainly involve purchasing goods from overseas – not least of which may well be a complete aircraft kit, or an engine. Then of course goods will need to be freighted at some stage or other internationally or domestically. The Foreign Exchange and Freight services available to Members under special terms are outstanding products that can save thousands of dollars over the life of a project. Using OFX to buy your kit components overseas will typically save you hundreds of dollars over your local bank or credit card. For those that are already flying, you can still save on the purchase of parts and equipment overseas. You can even register an account in your business name if you wish. New accounts opened by SAAA members can opened using the registration here [ Register ]. This will enable your new account to be tagged as being part of the OFX-SAAA offer, whereby OFX will waive their standard transaction fees for transfers of over $250. Registration is FREE and you can view live dealing rates immediately. By using this service, you will also be contributing to the SAAA as OFX will make a small donation from each transaction back to the SAAA, which can used to support services to our members. For single transactions over $100k we have a dedicated partner account manager who will make sure you get the best rate possible. Please contact the SAAA office if you need this service. The arrangement offers a freight service that will provide Members with competitive pricing for national and interstate freight. Like other Member services, this outstanding offer can potentially save thousands of dollars over the like of a project. 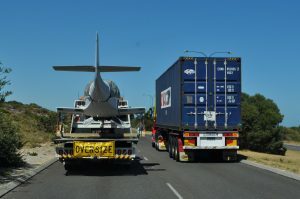 When contacting Courierandfreight.com.au, click here to access SAAA Member Code to access the special rates. For smaller packages, you can use the quoting system available at Courierandfreight.com.au (as indicated below). Any issues or for more complex freight needs, you may be best to call on 1300 10 11 10. SAAA refers our members to World Fuel Services (WFS), Skyfuel (AirBP), Aero Refuellers & Mobil for access to aviation fuel. As a Member, you have the convenience of access to fuel across the country from all these major distributors. These offers are only available to financial Members of SAAA. By taking up an offer(s), a Member consents to the exchange of limited membership data between the SAAA, World Fuel Services, Skyfuel and Aero Refuellers as is necessary to confirm entitlement to fuel discounts. 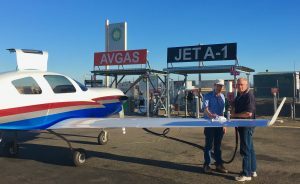 Attractive fuel discounts to financial SAAA Members who purchase Avgas or JetA1 fuel with a WFS owned and administered fuel card at WFS bowsers or at bowsers operated through Viva Energy Australia (VIVA). Find complete details and instructions on how to apply for a WFS fuel card here. Please note: If you currently hold a WFS Fuel Card issued and administered by other parties (such as Skyfuel, Aero Refuellers, Aerofuels etc), this card will not enable access to the discounts offered under the SAAA-WFS Fuel Discount offer. Mobil cards are available as a convenience from Skyfuel or Aero Refuellers however no fuel price discount is offered. Adequate insurance has long been a difficult problem for owners and builders of recreational aircraft, particularly amateur built aircraft. SAAA and QBE Aviation have worked together to create a competitive offer that affords policy owners attractive cover at competitive rates in return for enhanced commitment to improved safety outcomes. QBE Aviation has enthusiastically and generously supported this approach. 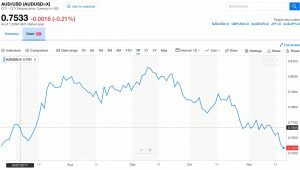 The SAAA – QBE Insurance Offer is the result. 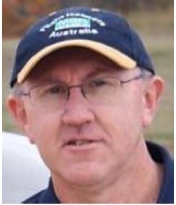 Certificates of participation and QBE notifications of participation are generated on line on this website via the respective sections within the Member Support Program page, or by visiting My Courses. Be sure to check out and accurately compare what a QBE policy content offers before making a decision. Each year the SAAA hosts a ‟National Event”. The venue may change from time to time, and may sometimes be operated in partnership with other organisations. The Event gives members from across the nation an opportunity to fly in and show off their latest creations to industry, members of the public, their fellow Members and other aviators. 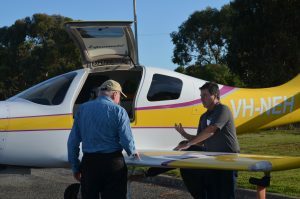 This event includes the opportunity for face to face meetings with like-minded members and management team members, learning from seminars and workshops, participating in aircraft build awards and just enjoying the spirit of the SAAA community and sport aviation. 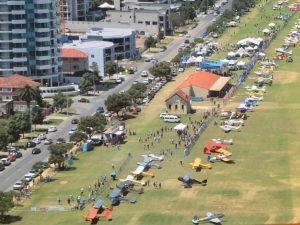 SAAA also participates in a number of regional events such as Avalon and Wings of Illawarra, and there are numerous other events often hosted by SAAA Chapters or fellow Member organisation. Opportunities to fly your aircraft, often in company of fellow aviators, and connect with the aviation community and friends abound. think of a place to go; let everyone know; and you’ll very likely have company. 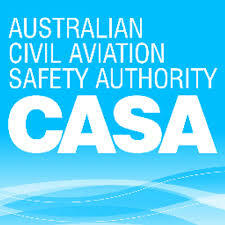 The SAAA has developed a comprehensive guide for the conduct of a fly-in by members. Normally this guide is aimed at Chapters, however it provides a wealth of detail for any fly-in. The aim is risk reduction and safe outcomes for all participants whether they fly, drive or walk to the event. Conforming to the guide is a requirement by any SAAA membership group undertaking this activity in order to benefit from SAAA’s insurance cover available for such events. In addition to the actual SAAA Fly-In Guidelines, there is a companion Risk Management Plan. This document provides a template that should be used to allow the organisers to address safety issues related to the Fly-In. It should be pointed out that this Risk Management Plan is not a “one size fits all” plan but serves as a template that the organisers should use to address specific issues for their “Fly-In‟. The SAAA advocates on behalf of its Members to achieve better outcomes around many issues. Some of the best examples include the privilege to maintain our own aircraft, and the system of SAAA Members appointed by CASA to issue Special Certificates of Air Worthiness. We are currently participating in discussions and reviews around a number of issues including less onerous Aviation Medical Certification requirements for our Members, developing special IFR equipment rules for Experimental Category aircraft, developing an environment where SAAA pilots can deliver flight transition and currency training to our Members, and more. The changes effective April 2018 regards the Class 2 Medical Certificates are a great example of what can be achieved through advocacy. We are confident that more great outcomes will emerge soon. SAAA representatives regularly sit at the table with the Regulator to best ensure our needs are heard. We have found over the years that you can’t complain after the fact, and so we must be part of the process. And we are, as is evidenced by the runs on the board. 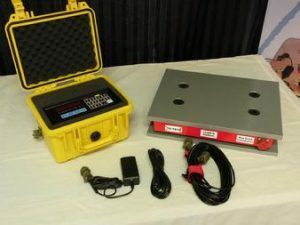 The SAAA has a number of aircraft scales that are available to members only. The scales are calibrated annually. Currently there are 2 sets of scales available for hire to Members – one in Sydney and one in Melbourne, which are looked after by volunteers. These are available to members for hire at on basis of a fixed one week hire plus additional pro-rate charges beyond one week. Freight costs are to the account of the hirer. Visit the Shop to make a booking. There are also a number of Chapters that have scales owned by local members and these are available under arrangements with the Chapters. 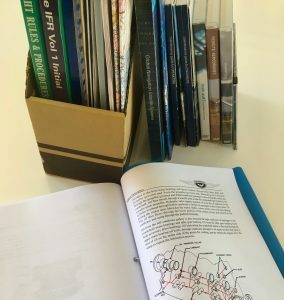 The greatest immediate benefit to members is knowledge. SAAA Members have full access to our website providing you constant access to regulatory knowledge, building information and techniques along with contacts for face to face assistance from our many Technical Councillors and other advisors. Only SAAA Members can access the many years of accumulated Information available to members. The SAAA has been around since 1955 and all that past knowledge is retained for member benefit. Click here to access the Member only accessible Technical Reference Centre.